100% natural, Honey and Pollen is consumed by the honeybee to produce the wax and approx 8 pounds of honey will produce 1 pound of wax. 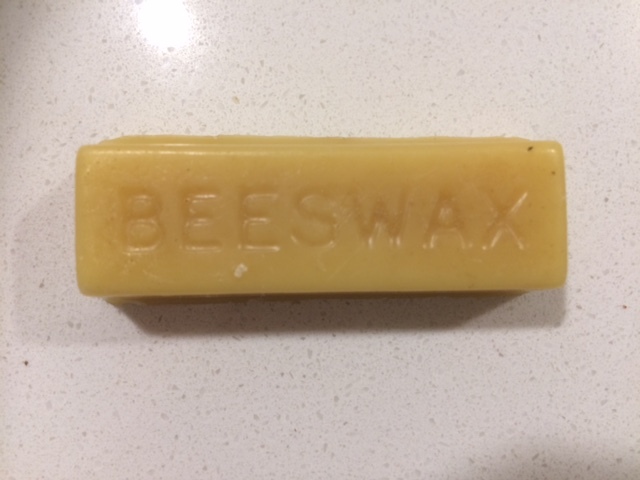 Another beneficial property of beeswax is its antibacterial properties similar to Honey. Thats is why it commonly used in skin treatments and salves. Beeswax is completely safe to digest, so it makes a great in lip balms. It also helps to moisturiser so can be found in skin moisturising lotions. Beeswax has been used for many years as a waterproofing for leather and canvas items by rubbing onto the surface then gently heating it. Beeswax candles burn brighter and cleaner than other waxes they also produce negative ions that help purify the air.